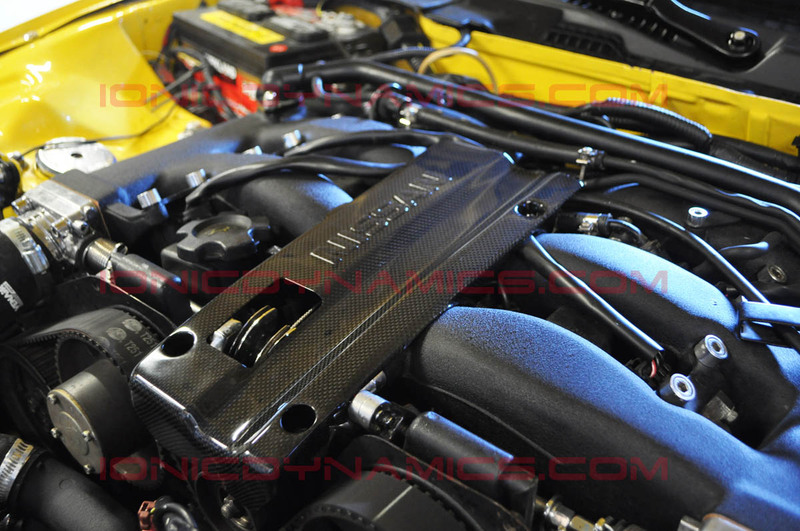 Manufactured by Ionic Dynamics it's crafted using 3K carbon fiber. 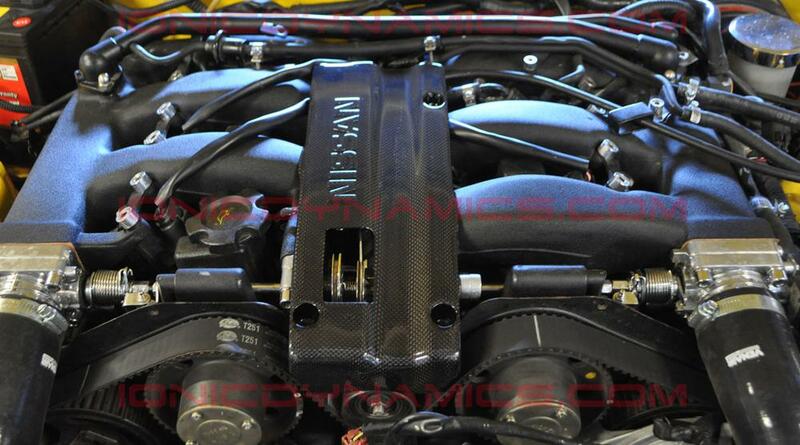 Holes are not predrilled. 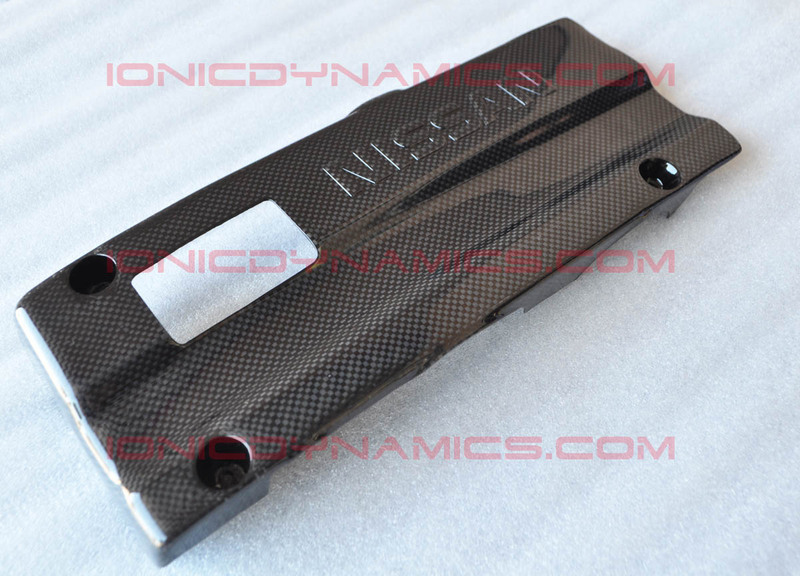 1.- Ionic Dynamics throttle cable cover. 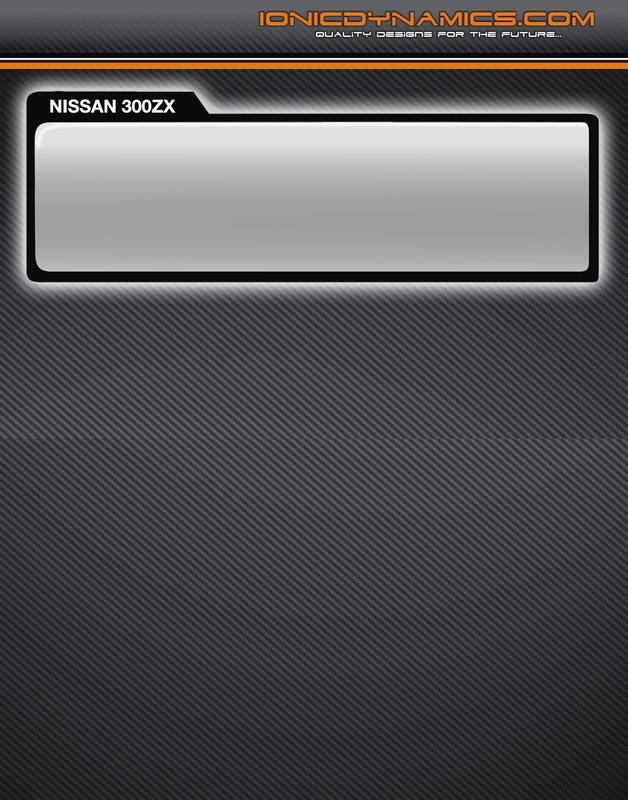 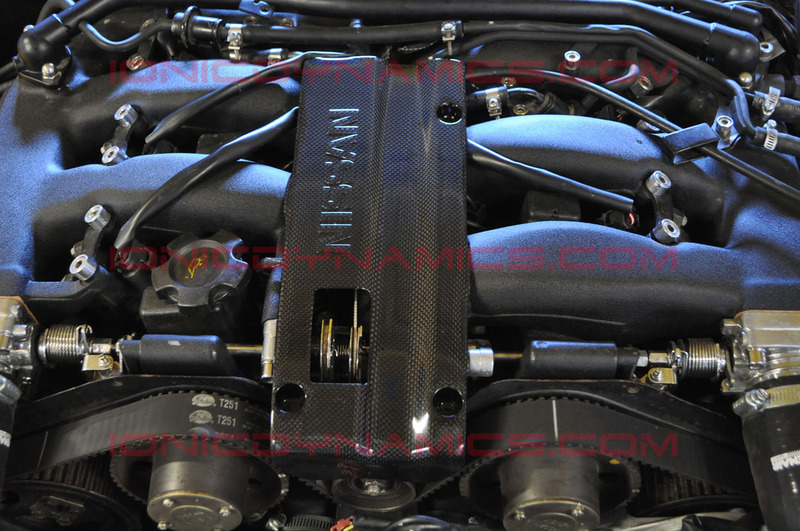 Mounting hardware is not included, customers will need to use the OEM screws that hold down the OEM throttle cable cover. 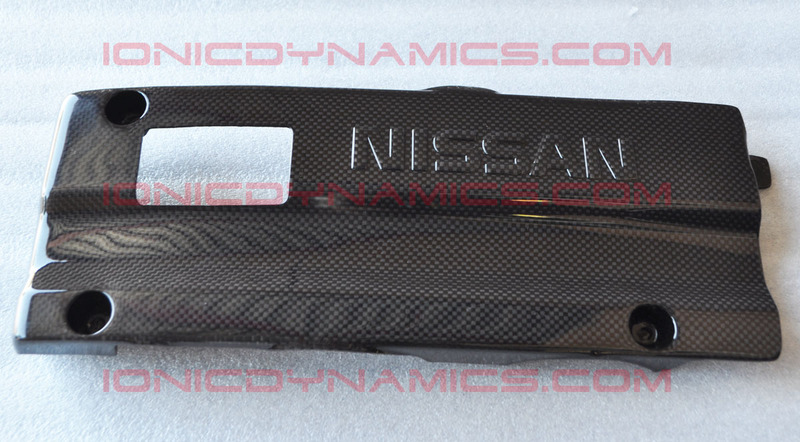 It's made to order and has up to a 20 business day wait time for it to be molded out and ready to ship. 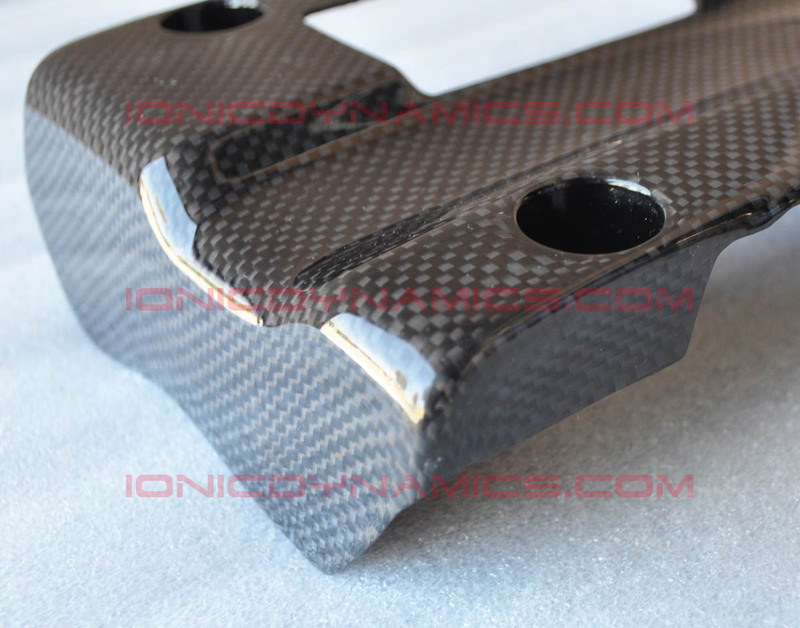 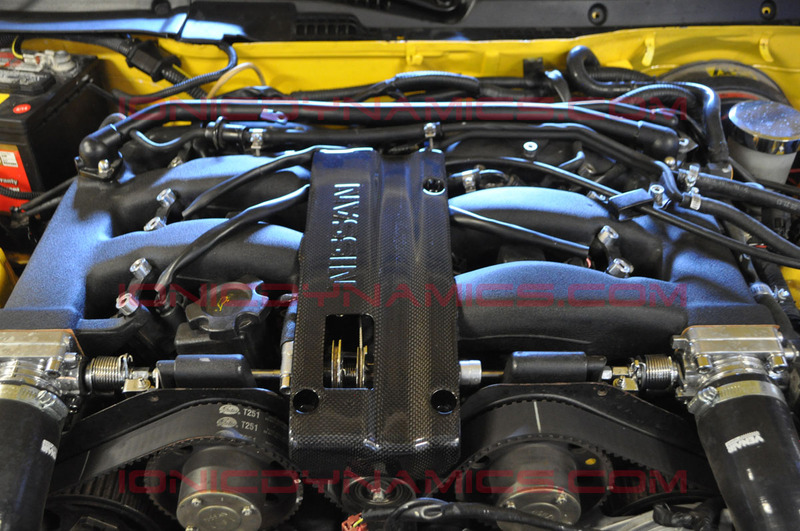 Ionic Dynamics Carbon Fiber throttle cable cover.